"I recently wrote my life memories for the benefit of my three children and below is an extract from a letter written by my eldest sister Pam recalling some of her memories. 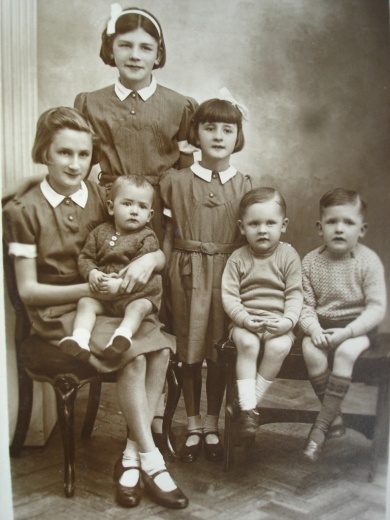 Pam was 12½ at the time of the blitz and the oldest of six children with me being the youngest at one month old". We had a comfortable home at the cottage at 4a, Kingsmead Street, which had two rooms upstairs and two down. When you came in the front door the 'front room' was to the right and on the left was the kitchen/living room with a coal house in the corner under the stairs. The coal man would have to come through the room to deliver the coal! The coal house was where we huddled during the night of the blitz in April 1942. Had we gone to the public shelter we may not have made it. The blitz on Bath meant a big change for our family. Luckily Dad was at home that night and he and Mr. Wiltshire had been out in the yard watching planes go over when they saw a bomb dropping and Dad said, 'get in the house'. After that the siren sounded. It was a long night listening to the planes going over and bombs dropping. The following morning Granfer Neal came to see if we were alright. We couldn't stay in the cottage and went to Granny and Granfer Neal's at Willsbridge. I don't remember how we and our belongings got there. Some months later we moved back to Bath and 3, Clarence Place where we lived in part of a house owned by an elderly woman. After the blitz, people were asked to share their homes with those who had been bombed out. In the spring of 2013, Malcolm got in touch again and provided some family photographs and some additional details, and we are reproducing them here exactly as supplied apart from some changes to the layout to better fit this screen, and some improvements to the contrast of the photos. I was born on the 30th March 1942 less than a month before the Blitz on Bath. The family (George Edward Mitchell (Dad), left; Alice Mary Mitchell (Mum), right) was living at 4A Kingsmead Street which was a little cottage situated in a yard below street level between Kingsmead Street and New Street. Unfortunately, it was demolished to make way for the development of Rosewell Court Car Park during the Sack of Bath. The cottage was approximately where the tree has been planted. On the night of the first raid on the 24th April 1942, Dad was home from Army duty and was having a smoke with neighbour Mr Wiltshire in the yard when the German planes flew over Bath and he saw bombs dropping before the sirens sounded. This was normal as these raiders were normally flying onto bomb Bristol, but not tonight. Dad took all the family to shelter in the coal house under the stairs in the living room and luckily we survived the night. The following morning Grandfer Neal and Uncle Albert Parsons arrived to see if we were safe and then took us all (pictured right) to live with our Grandparents in Willsbridge, so we missed the next two raids. Here we stayed in safety until moving back into 3 Clarence Place, Lower Weston and lived with a lady who billeted homeless victims of the Blitz. This information was told to me by my eldest sister Pamela who was 12 at the time. 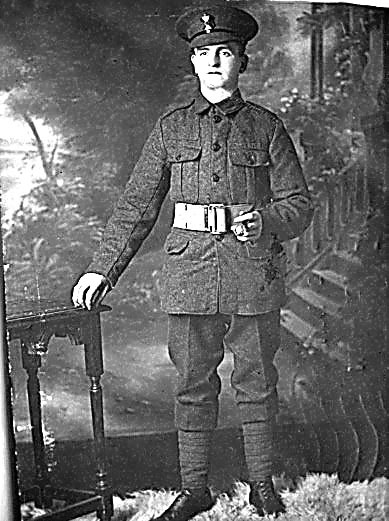 One of the civilian victims of the Blitz was Dad's cousin William Charles Mitchell. Unfortunately, Dad died on the 31st January 1942 and in 1943 we moved as a family with Mum to 20 Melrose Grove, Southdown. This council house was opposite Number 17 that had received a direct hit during the Blitz resulting in the death of three members of the Young family, Mum Bertha and daughters Bernice and Valerie. 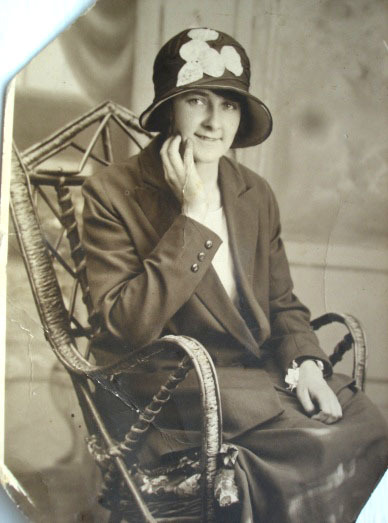 Next door at Number 19 there were also fatalities, Ellen Jane Selman and Gloria Ellen K.D.Selman. A neighbour from Southdown Road, John Bailey, told me how he walked round to see the devastation in Melrose Grove and the victim's bodies were laid out on the grass under white sheets. Photo: Valerie standing at back; Left to right in front, Pamela, Malcolm, Brenda, Terence, Kenneth. Using the records available from the time, some additional information has been assembled. The council records show that Number 4 Kingsmead Street was a shop with a dwelling house. The Post Office records do not show Number 4a as a different address to Number 4, so it is likely that the shop was also the postal delivery address for the dwelling accommodation. The Post Office Directory shows that Mr Charles Wiltshire lived at Number 4, as did Mr George Mitchell (who can be assumed to be "Dad"). The City Engineer's records show that Number 4 was damaged beyond repair though not totally destroyed by the bombing. It would therefore have been possible for some belongings to have been rescued. Everything further along the street, from Number 5 to Number 19 was totally destroyed. Kingsmead Street was a street of Georgian properties of four or five stories including the basement, and from Malcolm's description it is apparent that what was referred to as the cottage was an outbuilding behind. That would explain why the coal was kept in the cupboard under the stairs and not in a vault designed for the purpose, and why the description of "two rooms upstairs and two down" is too small a space to be the whole of the residential accommodation in a Georgian building. A street map of 1950 shows Number 3 in place, but the street frontage space for Number 4 onwards is just labelled "Ruins". However, a building remained in what would have been the garden of Number 4, so it is possible that this could have been "the cottage". Unfortunately it was demolished in the 1950s so there is now no record of what the building looked like. Clarence Place was in the Locksbrook Road area, and Number 3, occupied by Miss Ann Roles, was only slightly damaged during the blitz. William Charles Mitchell was a victim of the first raid, and was killed at Number 87 Avon Street.